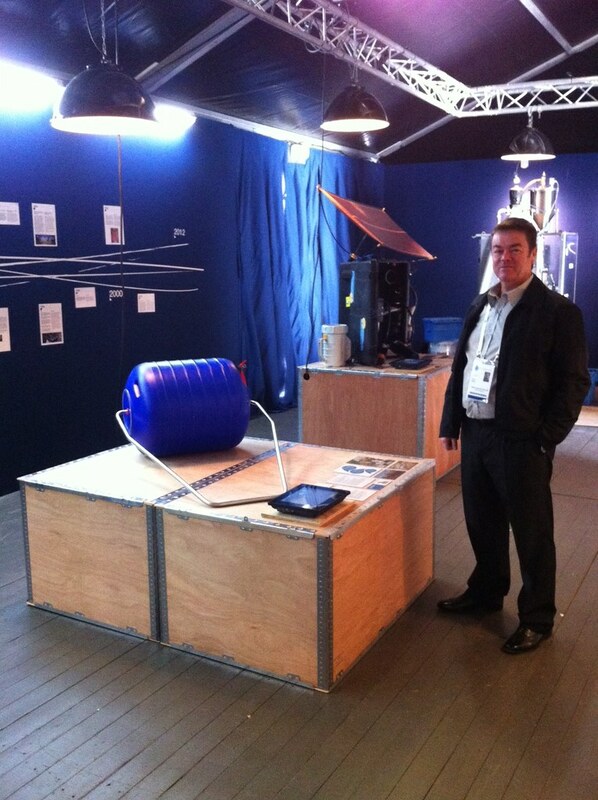 Grant Gibbs, Project Manager of the Hippo Water Roller Project, at the Project's exhibition. 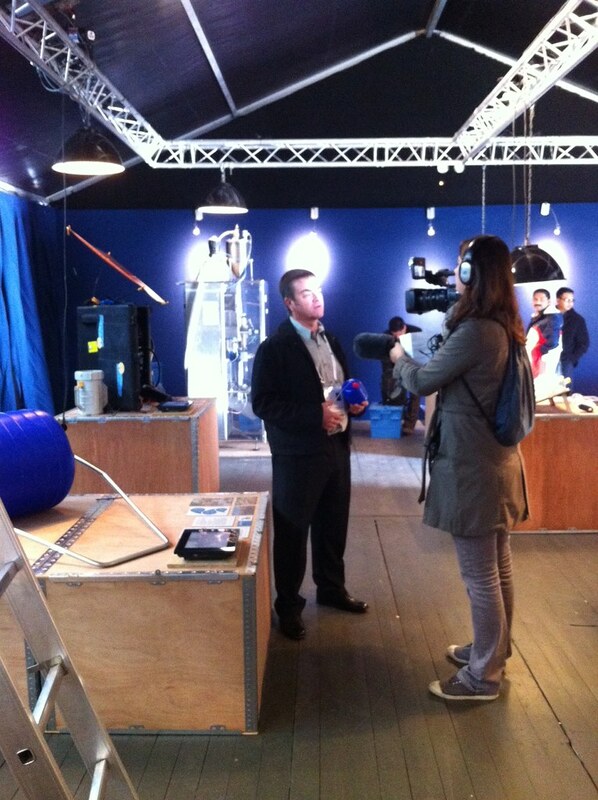 On the 1st day, the French media showed interest in the Hippo roller stand at the Factory Technology section of the Village of Solutions. 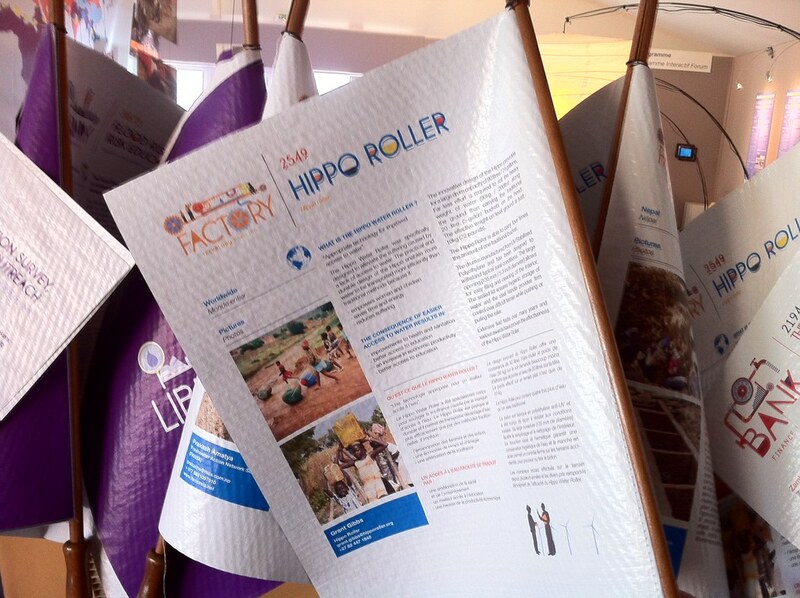 In line with the WWF's paperless policy, the Village of Solutions newspaper is printed on vinyl and features an article on the Hippo roller in the Factory Technology section. 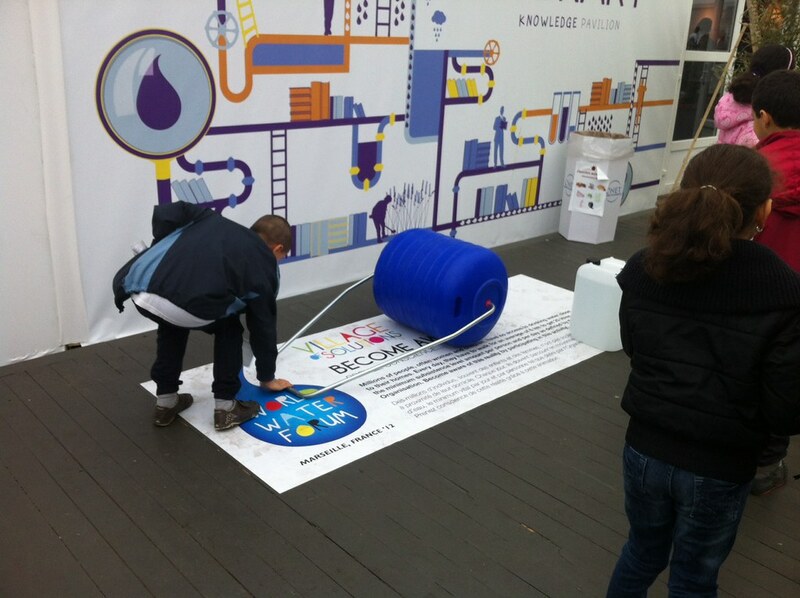 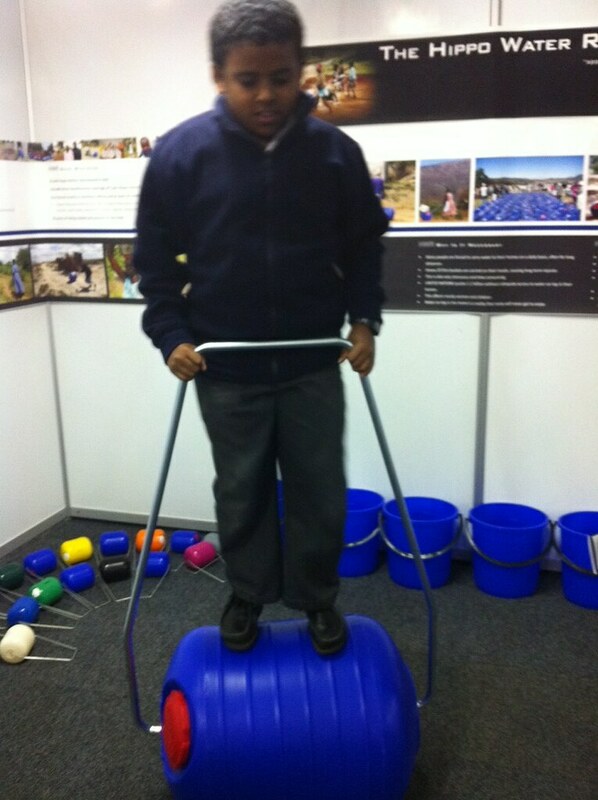 Kids at the Knowledge pavilion tested the Hippo roller for themselves.